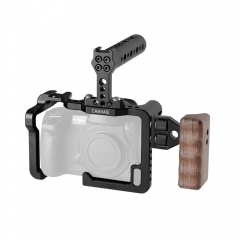 • It includes a detachable aluminum top cheese handle that delivers convenience while your hours of shooting, a shoe mount based on the top handle allows you to attach shoe accessories in here, like microphone, flashlight and so on. 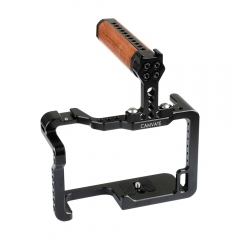 It also comes with a wooden left-side handle grip for your convenience. 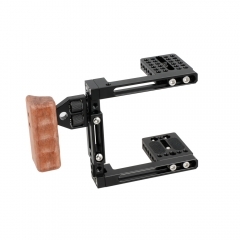 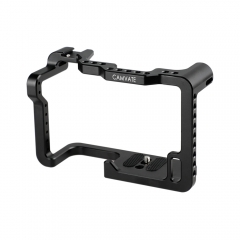 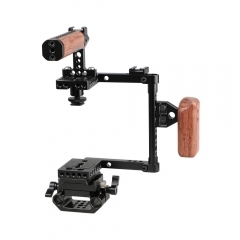 • You are free to do more DIY configurations based on this basic full frame cage such as attaching a QR baseplate to connect a tripod, a rod system or some other setups.